The present disclosure relates to methods for inhibiting color fading in hair and for improving the color durability and stability of artificial color of hair. The methods entail forming a layer-by-layer (LbL) film on hair, and optionally forming a cationic surface layer on the LbL film. The LbL film is formed by applying a cationic silane layer or a cationic polymer layer on the hair and subsequently applying an anionic polymer layer on the cationic silane layer or the cationic polymer layer. Multiple cationic silane layers or cationic polymer layers, and anionic polymer layers, can sequentially be added as desired. Finally, the LbL film may include a cationic surface layer. The present disclosure relates to methods for inhibiting color fading in artificially colored hair, which thereby improves the color durability and stability of hair color. The methods entail forming layer-by-layer (LbL) film on hair. There are many products available for changing the natural color of hair. The process of changing the color of hair can involve either depositing an artificial color onto the hair, which provides a different shade or color to the hair, or lifting the color of the hair, such as for example, from a dark brown shade to a medium brown or a light brown shade. Hair color can be changed using permanent, semi-permanent, or temporary hair coloring products. Many consumers desire a permanent color change and therefore use products containing permanent dyes. Conventional permanent hair coloring products are dye compositions comprising oxidation dye precursors, which are also known as primary intermediates or couplers. These oxidation dye precursors are colorless or weakly colored compounds which, when combined with oxidizing products, give rise to colored complexes by a process of oxidative condensation. The oxidizing products conventionally use peroxides such as hydrogen peroxide as oxidizing agents. Such permanent hair color products also contain ammonia or other alkalizing agents such as monoethanolamine (MEA) which causes the hair shaft to swell, thus allowing the small oxidative dye molecules to penetrate the cuticle and cortex before the oxidation condensation process is completed. The resulting larger- sized colored complexes from the oxidative reaction are then trapped inside the hair fiber, thereby permanently altering the color of the hair. The present disclosure relates to methods for improving the color durability and stability of hair color by inhibiting color fading. Color fading is inhibited by applying a layer-by-layer (LbL) film on the hair. LbL is a method for creating thin films through serial assembly of individual layers that rely on complementary interactions to associate with one another. Typically, the LbL films are applied to artificially colored hair by: (a) applying a cationic silane or cationic polymer layer on the hair; and subsequently; (b) applying an anionic polymer layer on the cationic silane or cationic polymer layer; and (c) optionally, repeating (a) and (b) to form additional layers. In some cases, a cationic surface layer (d) is applied as the outermost layer of the LbL film. Thus, LbL films are films assembled by serial application of individual layers that associate with one another through non-covalent, covalent, and/or other interactions. (c) optionally, repeating (a) and (b) to form one or more additional layers; thereby forming a layer-by-layer (LbL) film on the artificially colored hair. Additionally, a solution comprising 0.1 wt% to 20 wt.% of a polyacrylamide having quaternary ammonium groups may finally be applied to the outermost layer of the LbL film to form a cationic polymer surface layer. Often, a drying step is employed after each of the cationic or anionic solutions is applied to the hair. For instance, after applying the solution of cationic silane or anionic polymer (or the cationic outer layer), the treated hair is then dried to remove substantially all of the liquid in the solution leaving behind a cationic silane layer and/or the anionic polymer layer on the hair. The instant disclosure also relates to kits comprising the components for treating hair with LbL films. For example, professional hair practitioners or individual consumers can use the kits to treat hair and inhibit color fading. 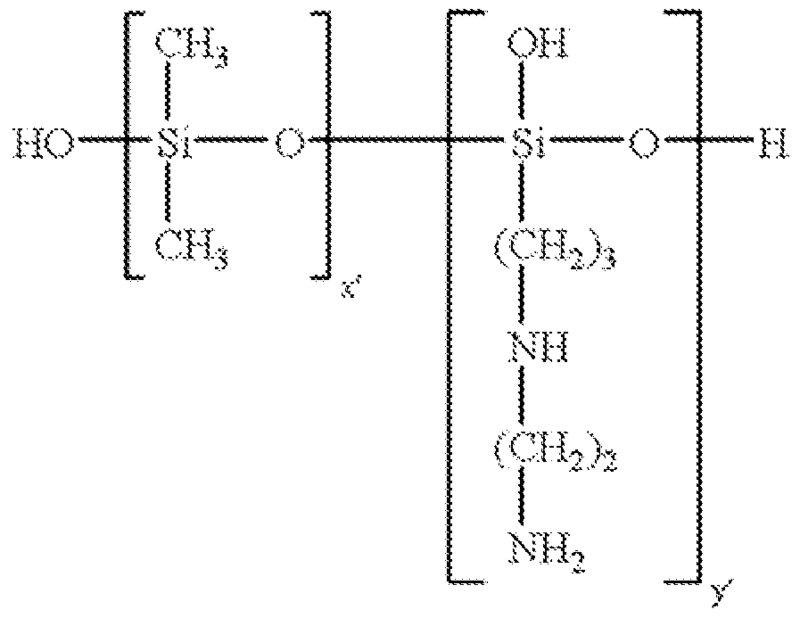 The kits typically include: (a) a cationic silane or cationic polymer, or a solution comprising the cationic silane or cationic polymer, for forming a cationic silane or cationic polymer layer on the hair; and separately, (b) an anionic polymer, or a solution comprising the anionic polymer, for forming an anionic polymer layer on the cationic silane or cationic polymer layer. Finally, the kit may optionally include (c) a separate cationic polymer, or cationic polymer solution, for forming a cationic polymer surface layer on the LbL film. The instant disclosure relates to methods for applying LbL film layers on hair, methods for inhibiting color fading in artificially colored hair, and kits comprising the components necessary to create LbL films on hair and inhibit color fading. ammonium function, a quaternary vinylpyrrolidone or vinylimidazole polymer, a polyamine, a methacryloyloxyethyltrimethylammonium chloride crosslinked polymer, and a mixture thereof. In some instances, the cationic polymer is a polyquaternium, for example, a polyquaternium selected from the group consisting of polyquaternium- 4, polyquaternium-6, polyquaternium-7, polyquaternium-10, polyquaternium-1 1 , polyquaternium-16, polyquaternium-22, polyquaternium-28, polyquaternium-37, polyquaternium-55, polyquaternium-68, and a mixture thereof. Moreover, in some instances, the polyquaternium is polyquaternium-6. methacryloyloxyethyltrimethylammonium chloride crosslinked polymer, and a mixture thereof. In some cases, the cationic polymer that forms the cationic surface layer is a polyacrylamide having quaternary ammonium groups, such as, for example, polyacrylamidopropyltrimonium chloride (I NCI name), a highly charged polymer, also described as a homopolymer of acrylamido-N-propyltrimethylammonium chloride and commercially available from the company Ashland under the tradename N-DurHance™ A- 1000. (c) optionally, repeating (a) and (b) to form additional layers. Additionally, the LbL film may include a cationic surface layer formed by: (d) applying a solution comprising a cationic polymer to the LbL film and forming a cationic surface layer. cosmetically acceptable carriers, which may or may not include water. The cosmetically acceptable carrier may also or alternatively comprise a hydrophilic organic solvent and/or an amphiphilic organic solvent, wherein the hydrophilic organic solvent is a monohydric CrC8 alcohol, a polyethylene glycol having from 6 to 80 ethylene oxides, a mono or di-alkyl isosorbide; and the amphiphilic organic solvent is a polypropylene glycol (PPG) or a propylene glycol alkyl ester or alkyl ether of PPG; a volatile hydrocarbon-based oils such as, for example, isoparaffins, i.e., branched alkanes containing from 8 to 16 carbon atoms, such isododecane. The solutions of cationic polymer (solutions for the cationic polymer of (a) and/or the cationic surface layer of (d)), may include, about 0.01 wt.% to about 50 wt.%, about 0.01 wt.% to about 40 wt.%, about 0.01 wt.% to about 30 wt.%, about 0.01 wt.% to about 20 wt.%, about 0.01 wt. % to about 10 wt.%, about 0.01 wt.% to about 5 wt.%, about 0.05 wt.% to about 50 wt.%, about 0.05 wt.% to about 40 wt.%, about 0.05 wt.% to about 30 wt.%, about 0.05 wt.% to about 20 wt.%, about 0.05 wt. % to about 10 wt.%, about 0.05 wt.% to about 5 wt.%, about 0.1 wt.% to about 50 wt.%, about 0.1 wt.% to about 40 wt.%, about 0.1 wt.% to about 30 wt.%, about 0.1 wt.% to about 20 wt.%, about 0.1 wt. % to about 10 wt.%, about 0.1 wt.% to about 5 wt.%, about 0.5 wt.% to about 50 wt.%, about 0.5 wt.% to about 40 wt.%, about 0.5 wt.% to about 30 wt.%, about 0.5 wt.% to about 20 wt.%, about 0.5 wt. % to about 10 wt.%, about 0.5 wt.% to about 5 wt.%, or about 0.1 wt.% to about 3 wt.% of cationic polymer, based on the total weight of the solution comprising the cationic polymer. Similarly, the solutions of anionic polymer, may include, about 0.01 wt.% to about 50 wt.%, about 0.01 wt.% to about 40 wt.%, about 0.01 wt.% to about 30 wt.%, about 0.01 wt.% to about 20 wt.%, about 0.01 wt. % to about 10 wt.%, about 0.01 wt.% to about 5 wt.%, about 0.05 wt.% to about 50 wt.%, about 0.05 wt.% to about 40 wt.%, about 0.05 wt.% to about 30 wt.%, about 0.05 wt.% to about 20 wt.%, about 0.05 wt. % to about 10 wt.%, about 0.05 wt.% to about 5 wt.%, about 0.1 wt.% to about 50 wt.%, about 0.1 wt.% to about 40 wt.%, about 0.1 wt.% to about 30 wt.%, about 0.1 wt.% to about 20 wt.%, about 0.1 wt. % to about 10 wt.%, about 0.1 wt.% to about 5 wt.%, about 0.5 wt.% to about 50 wt.%, about 0.5 wt.% to about 40 wt.%, about 0.5 wt.% to about 30 wt.%, about 0.5 wt.% to about 20 wt.%, about 0.5 wt. % to about 10 wt.%, about 0.5 wt.% to about 5 wt.%, or about 0.1 wt.% to about 3 wt.% of anionic polymer, based on the total weight of the solution comprising the anionic polymer. In some instances, the weight ratio of the cationic polymer of (a) to the anionic polymer of (b) in the LbL film is from about about 25: 1 to about 1 :25, from about 20: 1 to about 1 :20, from about 15: 1 to about 1 : 15, from about 10: 1 to about 1 : 10, from about 5: 1 to about 1 :5, from about 1 :2 to about 2: 1 , or about 1 : 1. In some instance, the ratio of the anionic polymer of (b) to cationic polymer of (d) in the LbL film is from about 25: 1 to about 1 :25, from about 20:1 to about 1 :20, from about 15: 1 to about 1 : 15, from about 10: 1 to about 1 :10, from about 5: 1 to 1 :5, or from about 1 :2 to 2: 1 , or even about 1 :1 . (b) applying a solution comprising about 0.1 wt.% to about 5 wt.% of a polystyrene to the cationic polymer layer and forming an anionic polymer layer on the cationic polymer layer, which may or may not include drying the aqueous solution comprising the polystyrene (or other anionic polymer); (C) optionally, repeating (a) and (b) to form one or more additional layers; and optionally, applying a solution comprising about 0.1 wt% to about 5 wt.% of a polyacrylamide having quaternary ammonium groups, to the LbL layer of (a) and (b) (or multiple layers of (a) and (b)) to form a cationic polymer surface layer, which may include drying the aqueous solution comprising the polyacrylamide having quaternary ammonium groups (or other cationic polymer); thereby forming a layer-by-layer (LbL) film on the artificially colored hair. (c) optionally, repeating (a) and (b) to form additional layers; thereby forming a layer-by-layer (LbL) film on the artificially colored hair. Further, a cationic surface layer (d) may be applied to the outer surface of the LbL film. The cationic surface layer may comprise the cationic silane of (a), or it may comprise a different cationic polymer (or a combination of the same and different cationic polymers). R2 and R3, independently of one another, are Ci -C6-alkyl or Cs-Ce-cycloalkyl, each of which may optionally be substituted by one or two C1-C3 -alkyl groups, and m is 0, 1 or 2.
aminoalkoxysilane is aminoalkoxysilane is 3-aminopropyltriethyoxysilane (APTES). sulphonate, a copolymer of methacrylic acid and acrylamidomethylpropane sulfonic acid, a copolymer of acrylic acid and acrylamidomethylpropane sulfonic acid, and a mixture thereof. polyacrylamidopropyltrimonium chloride (INCI), also described as a homopolymer of acrylamido-N-propyltrimethylammonium chloride. (d) applying a solution comprising a cationic polymer to the LbL film and forming a cationic surface layer. 0.01 wt.% to 40 wt.%, 0.01 wt.% to 30 wt.%, 0.01 wt.% to 20 wt.%, 0.01 wt. % to 10 wt.%, 0.01 wt.% to 5 wt.%, 0.05 wt.% to 50 wt.%, 0.05 wt.% to 40 wt.%, 0.05 wt.% to 30 wt.%, 0.05 wt.% to 25 wt.%, 0.05 wt. % to 20 wt.%, 0.05 wt.% to 15 wt.%, 0.1 wt.% to 50 wt.%, 0.1 wt.% to 40 wt.%, 0.1 wt.% to 30 wt.%, 0.1 wt.% to 25 wt.%, 0.1 wt. % to 20 wt.%, 0.1 wt.% to 15 wt.%, 0.5 wt.% to 50 wt.%, 0.5 wt.% to 40 wt.%, 0.5 wt.% to 30 wt.%, 0.5 wt.% to 25 wt.%, 0.5 wt. % to 20 wt.%, 0.5 wt.% to 15 wt.%, 0.5 wt.% to 20 wt.%, 1 wt.% to 20 wt.%, 2 wt.% to 20 wt.%, 3 wt.% to 20 wt.%, 4 wt.% to 20 wt.%, 5 wt.% to 20 wt.%, 7 wt.% to 20 wt.%, 10 wt.% to 15 wt.%, of cationic silane, based on the total weight of the solution comprising the cationic silane. Similarly, the solutions of anionic polymer of (b), may include, 0.01 wt.% to 50 wt.%, 0.01 wt.% to 40 wt.%, 0.01 wt.% to 30 wt.%, 0.01 wt.% to 20 wt.%, 0.01 wt. % to 10 wt.%, 0.01 wt.% to 5 wt.%, 0.05 wt.% to 50 wt.%, 0.05 wt.% to 40 wt.%, 0.05 wt.% to 30 wt.%, 0.05 wt.% to 20 wt.%, 0.05 wt. % to 10 wt.%, 0.05 wt.% to 5 wt.%, 0.1 wt.% to 50 wt.%, 0.1 wt.% to 40 wt.%, 0.1 wt.% to 30 wt.%, 0.1 wt.% to 20 wt.%, 0.1 wt. % to 10 wt.%, 0.1 wt.% to 5 wt.%, 0.5 wt.% to 50 wt.%, 0.5 wt.% to 40 wt.%, 0.5 wt.% to 30 wt.%, 0.5 wt.% to 20 wt.%, 0.5 wt. % to 10 wt.%, 0.5 wt.% to 5 wt.%, or 0.1 wt.% to 3 wt.% of anionic polymer, based on the total weight of the solution comprising the anionic polymer. Finally, the solutions of cationic polymer of (d), may include, 0.01 wt.% to 50 wt.%, 0.01 wt.% to 40 wt.%, 0.01 wt.% to 30 wt.%, 0.01 wt.% to 20 wt.%, 0.01 wt. % to 10 wt.%, 0.01 wt.% to 5 wt.%, 0.05 wt.% to 50 wt.%, 0.05 wt.% to 40 wt.%, 0.05 wt.% to 30 wt.%, 0.05 wt.% to 25 wt.%, 0.05 wt. % to 20 wt.%, 0.05 wt.% to 15 wt.%, 0.1 wt.% to 50 wt.%, 0.1 wt.% to 40 wt.%, 0.1 wt.% to 30 wt.%, 0.1 wt.% to 25 wt.%, 0.1 wt. % to 20 wt.%, 0.1 wt.% to 15 wt.%, 0.5 wt.% to 50 wt.%, 0.5 wt.% to 40 wt.%, 0.5 wt.% to 30 wt.%, 0.5 wt.% to 25 wt.%, 0.5 wt. % to 20 wt.%, 0.5 wt.% to 15 wt.%, or 0.5 wt.% to 20 wt.% of cationic polymer, based on the total weight of the solution comprising the cationic polymer. In some instances, the weight ratio of the cationic silanes of (a) to the anionic polymer of (b) in the LbL is from 25: 1 to 1 : 1 , from 25: 1 to 5: 1 , from 20: 1 to 5: 1 , or from 18: 1 to 8: 1 . In some instance, the ratio of the anionic polymer of (b) to cationic polymer of (d) in the LbL is from 1 :0.1 to 1 :25, from 1 :0.1 to 1 :20, from 1 :0.5 to 1 :20, from 1 :0.5 to 1 :15, or from 1 : 1 to 1 : 15.
polyacrylamide having quaternary ammonium groups (or other cationic polymer) to the LbL layer of (a) and (b) (or multiple layers of (a) and (b)) to form a cationic polymer surface layer, which may or may not include drying the solution comprising the polyacrylamide having quaternary ammonium groups (or other cationic polymer); thereby forming a layer-by-layer (LbL) film on the artificially colored hair. The instant disclosure also relates to kits comprising the components for treating hair with LbL films. For example, professional hair practitioners or individual consumers can use the kits to treat hair and inhibit color fading. 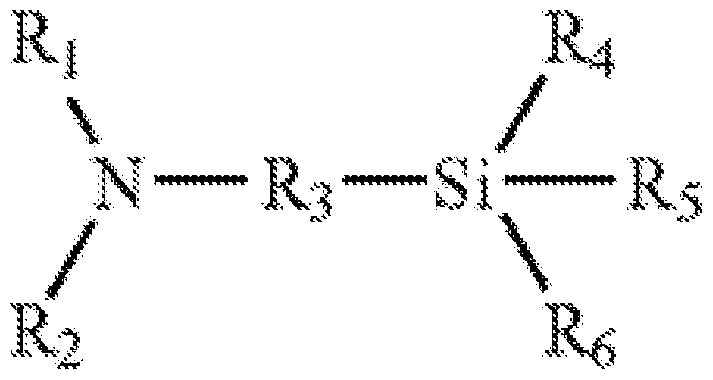 The kits typically include: (a) a cationic silane, or a solution comprising the cationic silane, for forming a cationic silane layer on the hair; and separately, (b) an anionic polymer, or a solution comprising the anionic polymer, for forming an anionic polymer layer on the cationic silane layer. Finally, the kit may optionally include (c) a cationic polymer, or cationic polymer solution, for forming a cationic polymer surface layer on the LbL film. The components of the kits may be limited as described above for the methods. The expression "cationic polymer" denotes any polymer containing cationic groups or groups which can be ionized into cationic groups. The cationic polymers may be those that contain units containing primary, secondary, tertiary and/or quaternary amine groups which can either form part of the main polymer chain or which can be borne by a side substituent that is directly attached thereto. The cationic polymers used generally have a molecular mass of between 500 and 5x 106 approximately and preferably between 103 and 3x 1 06 approximately. polyacrylamidopropyltrimonium chloride (INCI name), a highly charged polymer, also described as a homopolymer of acrylamido-N-propyltrimethylammonium chloride and commercially available from the company Ashland under the tradename N- DurHance™ A-1000. Among the cationic polymers, mention may be made more particularly of quaternized proteins (or protein hydrolysates) and polymers of the polyamine, polyaminoamide and quaternary polyammonium type. These are known products. Hydrolyzed Collagen"; protein hydrolysates bearing, on the polypeptide chain, quaternary ammonium groups containing at least one alkyl radical having from 1 to 18 carbon atoms. dictionary as "Cocotrimonium Collagen Hydrolysate". Another family of cationic polymers is that of cationic silicone polymers. in which x' and y' are integers dependent on the molecular weight, generally such that the said molecular weight is between 5000 and 20,000 approximately. NH, in which n and m have the meanings given above (cf. formula II). A commercial product corresponding to this definition is a mixture (90/10 by weight) of a poly-dimethylsiloxane containing aminoethyl aminoisobutyl groups and of a polydimethylsiloxane, sold under the name "Q2-8220" by the company Dow Corning. Such polymers are described, for example, in patent application EP-A- 95238. 20 to 50. Such polymers are described more particularly in US Pat. No. 4, 185,087. A polymer entering into this category is the polymer sold by the company Union Carbide under the name "Ucar Silicone ALE 563". methacrylamidopropyltrimethylammonium or dimethyl-diallylammonium salt. The commercial products corresponding to this definition are, more particularly, the products sold under the names "Celquat L 200" and "Celquat H 100" by the company National Starch. (4) Cationic polysaccharides, and in particular guar gums, described more particularly in U.S. Pat. Nos. 3,589,578 and 4,031 ,307 and more particularly the products sold under the names "Jaguar C 13 S", "Jaguar C 15" and "Jaguar C 17" sold by the company Meyhall. polycondensation of an acidic compound with a polyamine; these polyaminoamides can be crosslinked with an epihalohydrin, a diepoxide, a dianhydride, an unsaturated dianhydride, a bis-unsaturated derivative, a bis-halohydrin, a bis-azetidinium, a bis- haloacyldiamine, a bis-alkyl halide or alternatively with an oligomer resulting from the reaction of a difunctional compound which is reactive towards a bis-halohydrin, a bis- azetidinium, a bis-haloacyldiamine, a bis-alkyl halide, an epihalohydrin, a diepoxide or a bis-unsaturated derivative, the crosslinking agent being used in proportions ranging from 0.025 to 0.35 mol per amine group of the polyaminoamide; these polyaminoamides can be alkylated or, if they contain one or more tertiary amine functions, they can be quaternized. Such polymers are described in particular in French patents 2,252,840 and 2,368,508.
acid/dimethylamino-hydroxypropyl/diethylenetriamine polymers sold under the name "Cartaretine F", "Cartaretine F4" or "Cartaretine F8" by the company Sandoz. polyaminoamide of between 0.5: 1 and 1 .8:1 . Such polymers are described in particular in U.S. Pat. Nos. 3,227,615 and 2,961 ,347. R-I2 denotes a hydrogen atom or a methyl radical; R 0 and R-n , independently of each other, denote an alkyl group having from 1 to 22 carbon atoms, a hydroxyalkyl group in which the alkyl group preferably has 1 to 5 carbon atoms, a lower amidoalkyl group or Rio and Rn can denote, together with the nitrogen atom to which they are attached, heterocyclic groups such as piperidyl or morpholinyl; Y63 is an anion such as bromide, chloride, acetate, borate, citrate, tartrate, bisulphate, bisulphite, sulphate or phosphate. These polymers are described in particular in French patent 2,080,759 and in its Certificate of Addition 2,190,406. In some cases, X© is an anion such as chloride or bromide. 2,320,330, 2,270,846, 2,316,271 , 2,336,434 and 2,413,907 and U.S. Pat. Nos. 2,273,780, 2,375,853, 2,388,614, 2,454,547, 3,206,462, 2,261 ,002, 2,271 ,378, 3,874,870, 4,001 ,432, 3,929,990, 3,966,904, 4,005, 193, 4,025,617, 4,025,627, 4,025,653, 4,026,945 and 4,027,020. A denotes a radical of a dihalide or preferably represents— CH2— CH2— 0— CH2— CH2— . Such compounds are described in particular in patent application EP- A-122,324. Among those, mention may be made, for example, of the products "Mirapol A 15", "Mirapol 10 AD1 ", "Mirapol AZ1 " and "Mirapol 175" sold by the company Miranol. in which the groups R22 independently denote H or CH3, the groups A2 independently denote a linear or branched alkyl group of 1 to 6 carbon atoms or a hydroxyalkyl group of 1 to 4 carbon atoms, the groups R23, R24 and R25, which may be identical or different, independently denote an alkyl group of 1 to 18 carbon atoms or a benzyl radical, the groups R26 and R27 represent a hydrogen atom or an alkyl group of 1 to 6 carbon atoms, X2 θ denotes an anion, for example methosulphate or halide, such as chloride or bromide. The comonomer(s) which can be used in the preparation of the corresponding copolymers belong(s) to the family of acrylamides, methacrylamides, diacetone acrylamides, acrylamides and methacrylamides substituted on the nitrogen with lower alkyls, alkyl esters, acrylic or methacrylic acids, vinylpyrrolidone or vinyl esters. (13) Quaternary vinylpyrrolidone and vinyl-imidazole polymers such as, for example, the products sold under the names "Luviquat FC 905", "Luviquat FC 550" and "Luviquat FC 370" by the company BASF. (14) Polyamines such as "Polyquart H" sold by Henkel referred to under the name "Polyethylene glycol (15) Tallow Polyamine" in the CTFA dictionary. epichlorohydrin, quaternary polyureylenes and chitin derivatives. Among all of the cationic polymers which can be used in the context of the present disclosure, mention is made of a polyacrylamide having quaternary ammonium groups such Polyacrylamidopropyltrimonium Chloride, sold under the tradename N-DurHance™ A-1000 by the company Ashland, quaternized or non- quaternized vinylpyrrolidone/dialkylaminoalkyl acrylate or methacrylate copolymers, such as the products sold under the name "Gafquat" by the company ISP, such as, for example, "Gafquat 734, Gafquat 755 or Gafquat HS 100" or alternatively the products known as "Copolymer 937" or "Copolymer 845" also sold by the company ISP, and quaternary vinylpyrrolidone and vinylimidazole polymers such as the products sold under the names "Luviquat FC 905", "Luviquat FC 550" and "Luviquat FC 370" by the company BASF. dihydroimidazole, gluconamide, pyridyle, and polyether groups. In some cases, the alkoxysilane comprising at least one solubilizing functional group may comprise two or three alkoxy functions. Likewise, in some cases, the alkoxy functional groups are chosen from methoxy and ethoxy functional groups. As used herein, the term "functional group providing a cosmetic effect" means a group derived from an entity chosen from reducing agents, oxidizing agents, coloring agents, polymers, surfactants, antibacterial agents, and UV absorbing filters. alkoxysilane, C6-C30 aryl, hydroxyl, and carbonyl groups, and aromatic, heterocyclic, and non-heterocyclic rings, optionally substituted with at least one group chosen from C3-C20 alcohol ester, amine, amide, carboxyl, alkoxysilane, hydroxyl, carbonyl, and acyl groups. -R28 is chosen from hydrogen and linear and branched, saturated and unsaturated hydrocarbon chains, comprising, optionally at least one heteroatom, optionally interrupted by or substituted with at least one entity chosen from ether, alkyl alcohol ester, amine, carboxyl, alkoxysilane, alkyl aryl, hydroxyl, and carbonyl groups, and aromatic, heterocyclic, and non-heterocyclic rings. 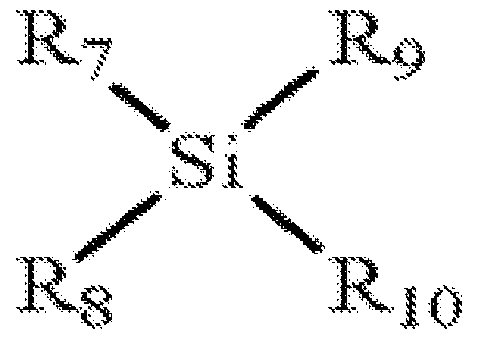 wherein the R radicals, which may be identical or different, are chosen from Ci-C6 alkyl radicals and n is an integer ranging from 1 to 6, for example, from 2 to 4.
alkoxysilanes comprising a silicon atom in a formula R(4-n)SiXn, wherein X is a hydrolysable group such as methoxy, ethoxy or 2-methoxyethoxy, R is a monovalent organic radical which contains 1 to 12 carbon atoms and may contain groups such as mercapto, epoxy, acrylyl, methacrylyl, amino or urea, and n is an integer from 1 to 4, and according to at least one embodiment is 3. Exemplary alkoxysilanes include, but are not limited to, 3-mercaptopropyltriethoxysilane and aminoalkyltnalkoxysilanes such as 3-aminopropyltriethoxysilane, as described in French Patent Application No. FR2789896, incorporated by reference herein. include aminoalkyltnalkoxysilanes such as 3- aminopropyltriethoxysilane ("APTES", described in French Patent Application No. FR 2 789 896, incorporated herein by reference), and mixtures thereof. embodiments of the disclosure include, but are not limited to, organosilanes and derivatives thereof, such as alkylsilanes, allylsilanes, and alkoxysilanes. 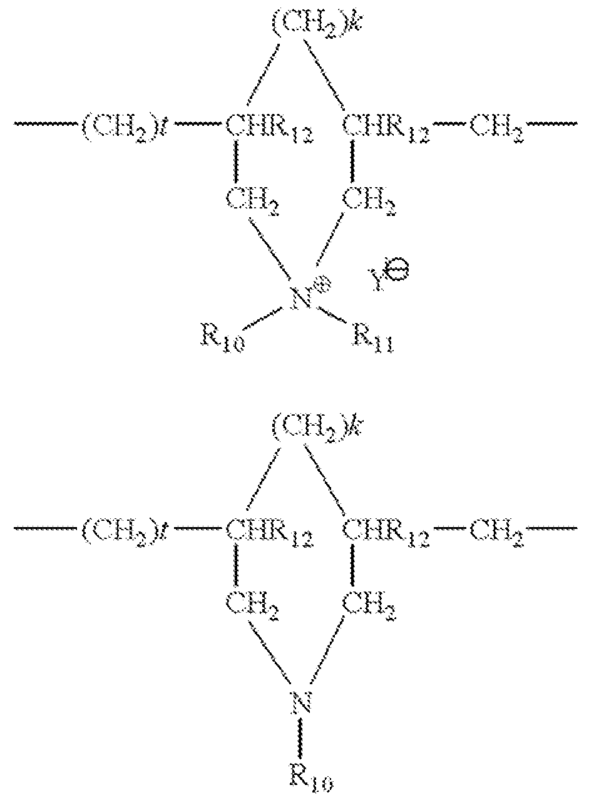 -Ri , R2, R3, R', R", R"\ R11 , R12, and R13, which may be identical or different, are chosen from linear and branched, saturated and unsaturated hydrocarbon groups, optionally bearing at least one additional chemical group, wherein R-i , R2, R', R", and R'" may also be chosen from hydrogen; provided that at least two groups R4, R5, and R6 are different from R-n , R 2, and R-I 3, and at least two groups R', R", and R'" are not hydrogen. alkoxysilane, C6-C3o aryl, hydroxyl, and carbonyl groups, and aromatic, heterocyclic, and non-heterocyclic rings, optionally substituted with at least one group chosen from C3-C2o alcohol ester, amine, amide, carboxyl, alkoxysilane, hydroxyl, carbonyl, and acyl groups. -s is 0 or 1 .
alkoxysilanes comprising a silicon atom in a formula R(4-n)SiXn, wherein X is a hydrolysable group such as methoxy, ethoxy or 2-methoxyethoxy, R is a monovalent organic radical which contains 1 to 12 carbon atoms and may contain groups such as mercapto, epoxy, acrylyl, methacrylyl, amino or urea, and n is an integer from 1 to 4, and according to at least one embodiment is 3. Exemplary alkoxysilanes include, but are not limited to, 3-mercaptopropyltriethoxysilane and aminoalkyltrialkoxysilanes such as 3-aminopropyltriethoxysilane, as described in French Patent Application No. FR2789896, incorporated by reference herein. R2 and R3, independently of one another, are Ci -C6-alkyl or C5-C6-cycloalkyl, each of which may optionally be substituted by one or two CrC3 -alkyl groups, and m is 0, 1 or 2. Anionic polymers may be polymers with anionic groups distributed along the polymer backbone. Anionic groups, which may include carboxylate, sulfonate, sulphate, phosphate, nitrate, or other negatively charged or ionizable groupings, may be disposed upon groups pendant from the backbone or may be incorporated in the backbone itself. Acrylates/C10-30 Alkyl Acrylate Crosspolymer having tradenames Pemulen TR-1 , Pemulen TR-2, Carbopol 1342, Carbopol 1382, and Carbopol ETD 2020, all available from Noveon; sodium carboxymethylcellulose supplied from Hercules as CMC series; and Acrylate copolymer having a tradename Capigel supplied from Seppic; acrylates copolymer having the tradename CARBOPOL® Aqua SF-1 and available from Lubrizol as an aqueous dispersion, and acrylates crosspolymer-4 having the tradename CARBOPOL® Aqua SF-2 and available from Lubrizol as an aqueous dispersion. The compositions according to the instant disclosure may take various forms and consistencies, such that the compositions can be provided in the form of a solution, liquid emulsion, a liquid-lotion, liquid-gel, liquid-cream, such as a thick cream or gel-cream, or a foam or mousse. Implementation of the present disclosure is provided by way of the following examples. The examples serve to illustrate the technology without being limiting in nature. For instance, the examples apply various component to hair to form layers by spraying a solution comprising the components on the hair, but application of the components to the hair is not limited to spraying (any application method can be used). 6RR or Nutrisse 69, commercially available permanent red shade hair dye products that are known for their propensity to fade with washing. The colorant mixture (colorant + developer) was prepared according to the product instructions. The colorant and the developer were uniformly mixed immediately prior to application to the hair. The colorant mixture was applied to the hair and allowed to remain on the hair for 30 minutes. After 30 minutes, the hair swatches were rinsed thoroughly with tap water at 40°C and 90 gallons per hour (GPH) flow rate until the water ran clear, then gently blotted with a towel to remove excess water. The rinse did not exceed 3 minutes. The hair swatches were then dried at room temperature overnight (at least 16 hours). (polyquaternium-6), or with deionized water for a control. One side of the hair swatches was sprayed 10 times and then combed through 3 times to ensure even application. Then the other side of the hair swatches was sprayed 10 times with the same solution and the hair swatches were again combed through 3 times to ensure even application. Thus, a total of 20 sprays (2.8 g solution) per hair swatch were applied. The aqueous solution was left on the hair swatches for 5 minutes at room temperature before applying the next layer. Then, each side of the hair swatches were sprayed with 1 wt.% aqueous solution of an anionic polymer (sodium polystyrene sulfonate) or deionized water for a control. One side of the hair swatches was sprayed 10 times and then combed through 3 times to ensure even application. Then the other side of the hair swatches was sprayed 10 times with the same solution and the hair swatches were again combed through 3 times to ensure even application. Thus, a total of 20 sprays (2.8 g solution) per hair swatch were applied. The aqueous solution was left on the hair swatches for 5 minutes at room temperature before applying the next layer. (polyacrylamidopropyltrimonium chloride), or with deionized water for a control. One side of the hair swatches was sprayed 10 times and then combed through 3 times to ensure even application. Then the other side of the hair swatches was sprayed 10 times with the same solution and the hair swatches were again combed through 3 times to ensure even application. Thus, a total of 20 sprays (2.8 g solution) per hair swatch were applied. The aqueous solution was left on the hair swatches for 20 minutes before the hair swatches were blown dry at low heat for 2 minutes. (Shampoo (Fading) Study) The LbL treated hair swatches and the control hair swatches from Example 2, and three commercially available hair color protection benchmarks were tested in duplicates or triplicates. The initial L* a*, b* values of the swatches were taken. DOP/gram hair) for 4, 7, and 10 cycles. Each cycle entailed a 15 second shampoo followed by a 10 second rinse with tap water (40°C, 90 GPH). The swatches were blotted with a towel to remove excess water and then blow dried for 2 minutes with low heat. The day after treatment (24 hours), the Initial L* a* b* measurements were taken at 0 shampoos. Then the hair swatches were shampooed 4, 7, 10 or more times and the L* a* b* measurements were again taken. The ΔΕ value is the difference in color of the hair swatch from its initial value before washing and final value after washing, based on L*a*b* parameters. ΔΕ of each hair swatch sample was taken in order to determine degree of color fading of treated hair swatches in comparison to controls. A lower ΔΕ represents less change in hair color (less color fading); therefore a lower ΔΕ is desirable. Table 1 (below) shows the average ΔΕ values of control hair swatches versus the LbL treated hair swatches. Table 2 (below) shows the average ΔΕ values of control hair swatches, the LbL treated hair swatches, and commercial benchmarks. The data shows that the LbL treated hair swatches had lower Δ E values than untreated hair (control). In the case of commercial benchmarks, again the LbL treated treated hair swatches had lower ΔΕ values. Thus, the data shows that the LbL films provide significant color protection (prevention of color fading). After the colored hair swatches of Example 1 were dried, each side of the hair swatches were sprayed with a 10 wt.%, 12 wt.%, or 16 wt.% aqueous solution a cationic silane (3-aminopropyltriethoxysilane (APTES)), or with deionized water for a control. One side of the hair swatches was sprayed 10 times and then combed through 3 times to ensure even application. Then the other side of the hair swatches was sprayed 10 times with the same solution and the hair swatches were again combed through 3 times to ensure even application. Thus, a total of 20 sprays (2.8 g solution) per hair swatch were applied. The aqueous solution was left on the hair swatches for 20 minutes before the hair swatches were blown dry at low heat for 2 minutes. After blow drying, each side of the hair swatches were sprayed with 1 wt.% aqueous solution of an anionic polymer (sodium polystyrene sulfonate(PSS)) or deionized water for a control. One side of the hair swatches was sprayed 10 times and then combed through 3 times to ensure even application. Then the other side of the hair swatches was sprayed 10 times with the same solution and the hair swatches were again combed through 3 times to ensure even application. Thus, a total of 20 sprays (2.8 g solution) per hair swatch were applied. The aqueous solution was left on the hair swatches for 5-10 minutes (without blow drying). After application of the anionic polymer, each side of the hair swatches were sprayed with aqueous solutions of cationic polymer, Some swatches were treated with 1 wt.% of polyacrylamidopropyltrimonium chloride. Other swatches were treated with 10 wt.% or 12 wt.% 3-aminopropyltriethoxysilane (APTES). And finally, some swatches were treated with deionized water for a control. One side of the hair swatches was sprayed 10 times and then combed through 3 times to ensure even application. Then the other side of the hair swatches was sprayed 10 times with the same solution and the hair swatches were again combed through 3 times to ensure even application. Thus, a total of 20 sprays (2.8 g solution) per hair swatch were applied. The aqueous solution was left on the hair swatches for 20 minutes before the hair swatches were blown dry at low heat for 2 minutes. The table below shows the weight percent ratios of the layers (weight percent ages are based on 100% active material). The LbL treated hair swatches and the control hair swatches from Example 4, and three commercially available hair color protection benchmarks were tested in duplicates or triplicates. The initial L* a*, b* values of the swatches were taken. DOP/gram hair) for 4, 7, and 10 cycles. Each cycle entailed a 15 second shampoo followed by a 10 second rinse with tap water (40°C, 90 GPH). The swatches were blotted with a towel to remove excess water and then blow dried for 2 minutes with low heat. The day after treatment (24 hours), the Initial L* a* b* measurements were taken at 0 shampoos. Then the hair swatches were shampooed 4, 7, 10, 15, or 20 times and the L* a* b* measurements were again taken. The ΔΕ value is the difference in color of the hair swatch from its initial value before washing and final value after washing, based on L*a*b* parameters. ΔΕ of each hair swatch sample was taken in order to determine degree of color fading of treated hair swatches in comparison to controls. A lower ΔΕ represents less change in hair color (less color fading); therefore a lower ΔΕ is desirable. LbL treated hair swatches, and commercial benchmarks. The data shows that the LBL treated hair swatches had lower Δ E values than untreated hair (control). In the case of commercial benchmarks, again the LBL treated treated hair swatches had lower ΔΕ values. Thus, the data shows that the LBL films provide significant color protection (prevention of color fading). The multilayer films may be referred to as a "polyelectric multilayer," which is a composition formed by sequential and repeated application of alternating anionic and cationic polymer layers. The term applies to a single cationic polymer layer coated with a single cationic polymer layer (that is optionally surface treated with a cationic polymer) and also to multiple alternating cationic polymer and anionic polymer layers, which are then optionally surface-treated with a cationic polymer. architectures, (e.g., number of layers, thickness of individual layers (understanding that "merging" of layer materials may occur once films are assembled), overall film thickness, etc.). In general, LbL films comprise multiple layers. In some cases, LbL films are comprised of multilayer units; each unit comprising individual layers. In accordance with the present disclosure, individual layers in an LbL film interact with one another. In particular, a layer in an LbL film comprises an interacting moiety, which interacts with that from an adjacent layer, so that a first layer associates with a second layer adjacent to the first layer, each contains at least one interacting moiety. In some cases, adjacent layers are associated with one another via non-covalent interactions. Exemplary non-covalent interactions include, but are not limited to, ionic bonding, hydrogen bonding, affinity interactions, metal coordination, physical adsorption, host-guest interactions, hydrophobic interactions, pi stacking interactions, hydrogen bonding interactions, van der Waals interactions, magnetic interactions, dipole-dipole interactions and combinations thereof. In other cases, the the adjacent layer are associated by covalent bonding interactions. LbL films may be comprised of multilayer units with alternating layers of opposite charge, such as alternating anionic and cationic layers. For example, an electrostatic interaction can be a primary interaction; a hydrogen bonding interaction can be a secondary interaction between the two layers. According to the present disclosure, LbL films may be comprised of one or more multilayer units. In some embodiments, an LbL film include a plurality of a single unit (e.g., a bilayer unit, a tetralayer unit, etc.). In some embodiments, an LbL film is a composite that include more than one units. For example, more than one unit can have different film materials (e.g., polymers), film architecture (e.g., bilayers, tetralayer, etc. ), film thickness, and/or agents that are associated with one of the units. In some embodiments, an LbL film is a composite that include more than one bilayer units, more than one tetralayer units, or any combination thereof. In some embodiments, an LbL film is a composite that include a plurality of a single bilayer unit and a plurality of a single tetralayer unit. In some embodiments, the number of multilayer units is about 3, about 5, about 10, about 20, about 30, about 40, about 50, about 60, about 70, about 80, about 90, about 100, about 150, about 200, about 300, about 400 or even about 500 or up to a maximum of about 20, about 30, about 40, about 50, about 60, about 70, about 80, about 90, about 100, about 150, about 200, about 300, about 400 or even about 500. LbL films may have various thicknesses depending on methods of fabricating and applications. In some embodiments, an LbL film has an average thickness in a range of about 1 nm and about 100 pm. In some embodiments, an LbL film has an average thickness in a range of about 1 pm and about 50 pm. In some embodiments, an LBL film has an average thickness in a range of about 2 pm and about 5 pm. In some embodiments, the average thickness of an LbL film is or more than about 1 nm, about 5 nm, about 10 nm, about 20 nm, about 50 nm, about 75 nm, about 100 nm, about 200 nm, about 300 nm, about 400 nm, about 500 nm, about 600 nm, about 700 nm, about 800 nm, about 900 nm, about 1 pm about 1 .5 pm, about 2 pm, about 3 pm about 4 pm, about 5 pm, about pm 10 pm, about 20 pm, about 50 pm, about 100 pm. In some embodiments, an LbL film has an average thickness in a range of any two values above. The terms "comprising," "having," and "including" are used in their open, non- limiting sense. The terms "a," "an," and "the" are understood to encompass the plural as well as the singular. The expression "at least one" means "one or more" and vice versa, and thus includes individual components as well as mixtures/combinations. All ranges and values disclosed herein are inclusive and combinable. For examples, any value or point described herein that falls within a range described herein can serve as a minimum or maximum value to derive a sub-range, etc. thereby forming a layer-by-layer (LbL) film on the artificially colored hair. (d) applying a cationic surface layer to the LbL film. compound with a polyamine, a polyaminoamide derivative resulting from the condensation of polyalkylenepolyamines with polycarboxylic acids followed by an alkylation with difunctional agents, a polymer obtained by reaction of a polyalkylenepolyamine containing two primary amine groups and at least one secondary amine group with a dicarboxylic acid, a methyldiallylamine or dimethyl-diallylammonium cyclopolymer, a quaternary diammonium polymer, a polyquaternary ammonium polymer, a homopolymer or copolymer derived from acrylic or methacrylic acid containing ester or amide units substituted with a group containing an amine or quaternary ammonium function, a quaternary vinylpyrrolidone or vinylimidazole polymer, a polyamine, a methacryloyloxyethyltrimethylammonium chloride crosslinked polymer, and a mixture thereof. 4. The method of claim 3, wherein the cationic polymer layer of (a) comprises a polyquaternium. 5. The method of claim 4, wherein the polyquaternium is selected from the group consisting of polyquaternium-4, polyquaternium-6, polyquaternium-7, polyquaternium-10, polyquaternium-1 1 , polyquaternium-16, polyquaternium- 22, polyquaternium-28, polyquaternium-37, polyquaternium-55, and polyquaternium-68. 6. The method of claim 5, wherein the polyquaternium is polyquaternium-6. 7. The method of claim 1 , wherein the anionic polymer layer of (b) comprises an anionic polymer selected from the group consisting of polyacrylic acid, polymethacrylic acid, carboxyvinylpolymer, an acrylate copolymer, a sulfonate polymer, a carboxymethycellulose a carboxy guar gum, a copolymer of ethylene and maleic acid, an acrylate silicone polymer, and a mixture thereof. 8. The method of claim 7, wherein the anionic polymer layer of (b) is a sulfonate polymer. methyldiallylamine or dimethyl-diallylammonium cyclopolymer, a quaternary diammonium polymer, a polyquaternary ammonium polymer, a homopolymer or copolymer derived from acrylic or methacrylic acid containing ester or amide units substituted with a group containing an amine or quaternary ammonium function, a quaternary vinylpyrrolidone or vinylimidazole polymer, a polyamine, a polyamide, a methacryloyloxyethyltrimethylammonium chloride crosslinked polymer, and a mixture thereof. The method of claim 1 1 , wherein the cationic polymer of the cationic surface layer of (d) comprises a polyacrylamide having quaternary ammonium groups. The method of claim 12, wherein the polyacrylamide having quaternary ammonium groups is polyacrylamidopropyltrimonium. (b) applying a separate solution comprising an anionic polymer to the cationic polymer layer and forming an anionic polymer layer; and (c) optionally, repeating (a) and (b) to form additional layers. The method of claim 14, wherein the solutions comprising the cationic polymer of (a), the anionic polymer of (b), and the cationic polymer of (d) are aqueous solutions. (d) applying a solution comprising 0.1 wt% to 5 wt.% of a polyacrylamide having quaternary ammonium groups to the LbL layer to form a cationic polymer surface layer. (b) an anionic polymer for forming an anionic polymer layer on the cationic polyelectrolyte layer. (c) a cationic polymer for forming a cationic polymer surface layer to the LbL film. 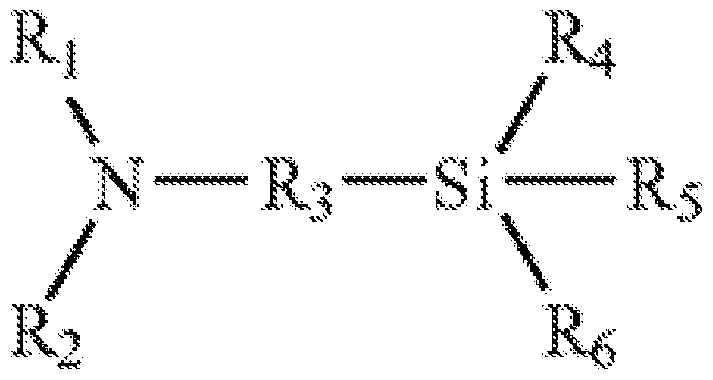 The method of claim 21 , wherein the cationic silane layer of (a) comprises aminoalkoxysilane. m is 0, 1 or 2. The method of claim 23, wherein the aminoalkoxysilane is selected from the group consisting of 3-aminopropyltrimethoxysilane, N-(2-aminoethyl)-3- aminopropyltrimethoxysilane, (3-triethoxysilylpropyl)-diethylenetriamine, 3- aminopropyltriethoxysilane (APTES), N-(2-aminoethyl)-3-amino- propyltriethoxysilane, (3-triethoxysilylpropyl)-diethylentriamine, 3- aminoethyltriethoxysilane (AETES), 3- aminopropylmethyldiethoxysilane (APMDES), and N-cyclohexylaminomethyltriethoxysilane. The method of claim 23, wherein the aminoalkoxysilane is 3- aminopropyltriethyoxysilane (APTES). 27. The method of claim 21 , wherein the anionic polymer layer of (b) comprises an anionic polymer selected from the group consisting of polyacrylic acid, polymethacrylic acid, carboxyvinylpolymer, an acrylate copolymer, a sulfonate polymer, a carboxymethycellulose a carboxy guar gum, a copolymer of ethylene and maleic acid, an acrylate silicone polymer, and a mixture thereof. 29. The method of claim 28, wherein the sulfonate polymer is selected from the group consisting of polysulfonic acid, polystyrene sulfonate, a copolymers of methacrylic acid and acrylamidomethylpropane sulfonic acid, a copolymer of acrylic acid and acrylamidomethylpropane sulfonic acid, and a mixture thereof. 32. The method of claim 31 , wherein the cationic polymer of the cationic surface layer of (d) comprises polyacrylamide having quaternary ammonium groups. ammonium groups is a polyacrylamidopropyltrimonium. 36. The method of claim 34, wherein the solutions comprising the cationic silane of (a), the anionic polymer of (b), and the cationic polymer of (d) are aqueous solutions. polyacrylamide having quaternary ammonium groups to the LbL layer to form a cationic polymer surface layer.